Client charged with Driving While License Suspended. It was 3rd offense within five years. Facing Habitual Offender Suspension (five years). Got the client's DL reinstated prior to court date. I am able to convince Prosecutor to amend charge to No Valid D/L and pay fine and court costs. Habitual Suspension avoided with amended charge. No jail and client is now clear with a valid D/L. Client arrested for Burglary, Grand Theft, and Dealing in Stolen Property. Cops claim that client along with another person Burglarized K-Mart and stole over $100,000.00 worth of jewelry (is that possible from K-Mart?). Additionally, they are charged with trying to pawn the jewelry after the theft. Prosecutor is fair about it and drops the Burglary and Grand theft with a plea to Dealing in Stolen Property. Adjudication is Withheld and client gets house arrest. If all goes well, client's case can be sealed when house arrest is completed. Client arrested for five vehicle burglaries. Prosecutor agrees to Pretrial Intervention (PTI). Client violates PTI with new shoplifting charge. I was able to get client back in PTI. This time almost completes PTI but violates with positive urine test for cannabis. Back to court and he is now on two years probation with a W/H adjudication and early termination after one year. Hopefully he will make it this time otherwise he will end up a convicted felon and do jail time (i.e. the Judge can only cut you so many breaks). The client in now 23 years old and finally learning how to get it right with no more illegal conduct. Client arrested for Leaving the Scene of an Accident with Injuries. Basically, a person on a bike runs into the side of my client's care. Client stops and makes sure bike rider is O.K. then leaves and goes home. Police arrive on scene and bike rider claims he is injured. Client is arrested a short time later when client calls police department to report accident. Fortunately the Prosecutor agrees with our position that client never intended to avoid the Law or the Police. Charge was dropped. Client arrested for Battery Domestic Violence. His wife was the alleged victim. Has no priors at all but was taking medication for one day for an illness he had caught. Medication affected his actions per the medication warnings on drug. Motion to modify the "No Victim Contact" order of his release is granted to permit him to go home and ultimately the charges were dropped after completing 8 hours of anger management. Client arrested for DUI found asleep in vehicle stopped at red light in Eustis. Cops arrive, awake driver, smell alcohol, slurred speech, etc. DUI investigation ensues with driver admitting to 10 beers. Arrested and refuses breath test. Video was actually pretty good for driver. Case set for trial. Prosecutor offers wet reckless with no D/L suspension and no DUI on record. Client accepts reduced charge. Great result for client! Client arrested on life felony of burglary with a battery in a case of ROAD RAGE on HWY 27 in Clermont. Punishable by up to life in prison. Nice guy, no real priors but in the hot seat with an over zealous prosecutor. Thank God the Judge was in touch with what this case really was. Charge reduced to 3rd degree felony with six months in county jail followed by 1year probation. Tough situation but worked out very reasonable. DUI case where client on motorcycle gracefully falls over at a red traffic light in Howey in the Hills. Citizen calls cops, when cops arrive client not on bike but has smell of alcohol, unsteady on feet, admits he had a little too much to drink. Client arrested and blows twice the legal limit. I file a motion to suppress based upon no accident and resulting no right to arrest client without cop seeing client driving. Prosecutor agrees and all charges DROPPED! Client working as a volunteer at local theatre needs a little bit of money for his girlfriends birthday. Uses bad judgment and takes money from money box after hours on his days off. Charge: 4 counts of Burglary and 4 counts of Petite Theft. Client very remorseful and embarrassed. Got Pretrial Diversion Program. (PTI). Once PTI is completed the charges will be dropped and record will be expunged. 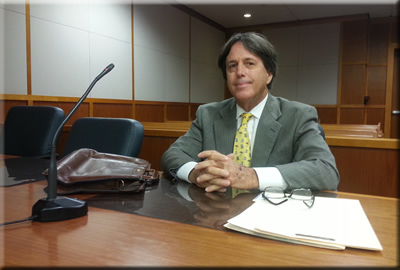 Client pleads guilty with Public Defender at first appearance to 3rd DUI. Gets out of jail next day and realizes she should see a lawyer. Her Dad (former client) refers her to me. First I file motion to vacate plea from first appearance. After two hearings, motion is granted and case set for plea negotiations and eventually trial. Case reduced to reckless driving after extensive negotiations with prosecutor. No D/L suspension and no additional DUI on her record. Client very happy!